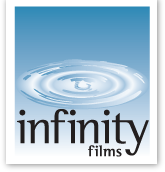 INFINITY FILMED ENTERTAINMENT GROUP PARTNER SHEL PIERCY DIRECTS VALENTINES MUSICAL! VANCOUVER, BC – You are going to fall in love with I LOVE YOU BECAUSE, the Western Canada premier of the new musical that the New York Times praised as “terrific, refreshing fun – filled with wit and zest.” The first production of Vancouver’s newest theatre company, INTIMATE THEATRE, I LOVE YOU BECAUSE features a strong, young, up-and-coming cast with some of Vancouver’s brightest new musical theatre artists lead by the critically-acclaimed directing team of SHEL PIERCY and choreographer SHELLEY STEWART HUNT. Music direction is by KERRY O’DONOV AN with sets by FRANCESCA ALBER T AZZI and costumes by CHRISTINA SINOSICH. This hilarious hit musical arrives on Granville Island just in time for the season of love! Opening February 10 (previews begin February 8) I LOVE YOU BECAUSE plays until February 25 in the intimate and warm STUDIO 1398 in the heart of Vancouver’s theatre district. This show promises to make you laugh, make you cry, make you fall in love or fall in love all over again! One of the funniest off-Broadway shows of the last few years, it features an exciting and romantic script and score by the new writing team of RYAN CUNNINGHAM & JOSHUA SALZMAN w h i c h was praised as “impressive, distinctive, tuneful and smart.” In fact the The Wall Street Journal wrote that I LOVE YOU BECAUSE is “everything an off-Broadway musical should be…a charming piece of work that will send you home smiling,” A special Valentines’ Day performance features roses for every woman attending and all the champagne you can drink!